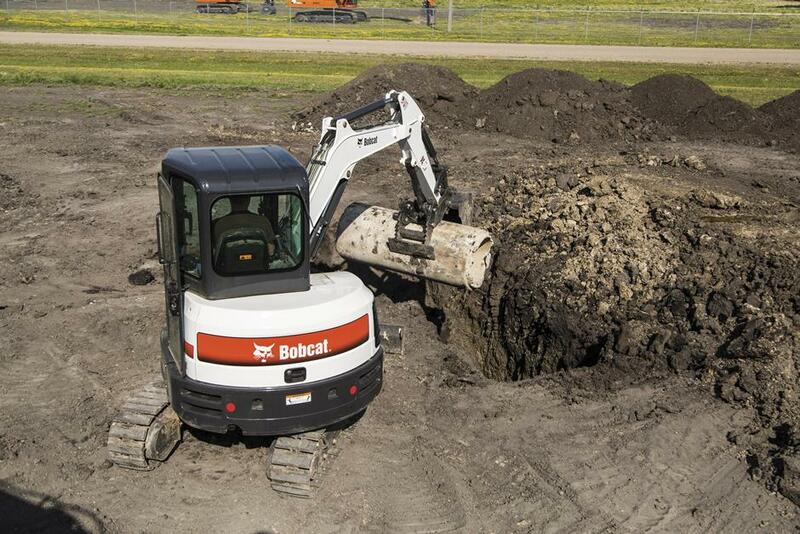 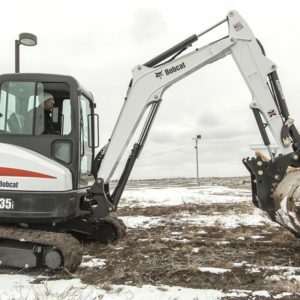 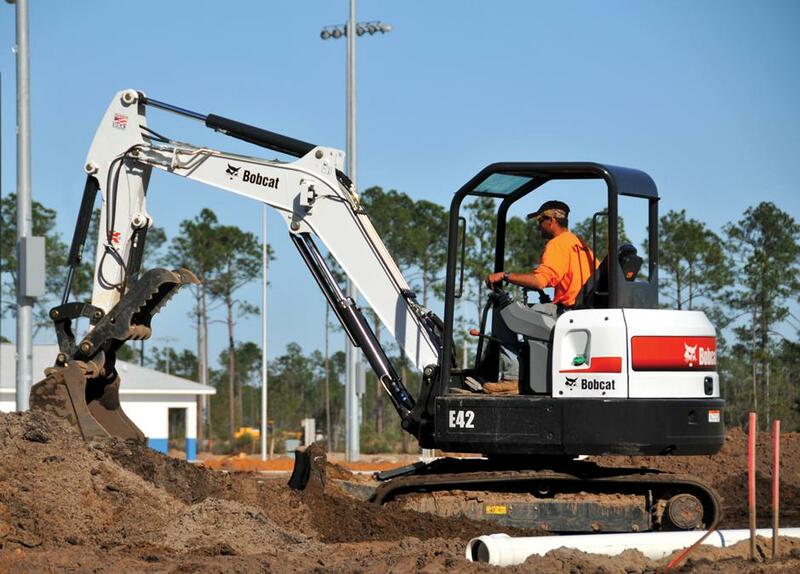 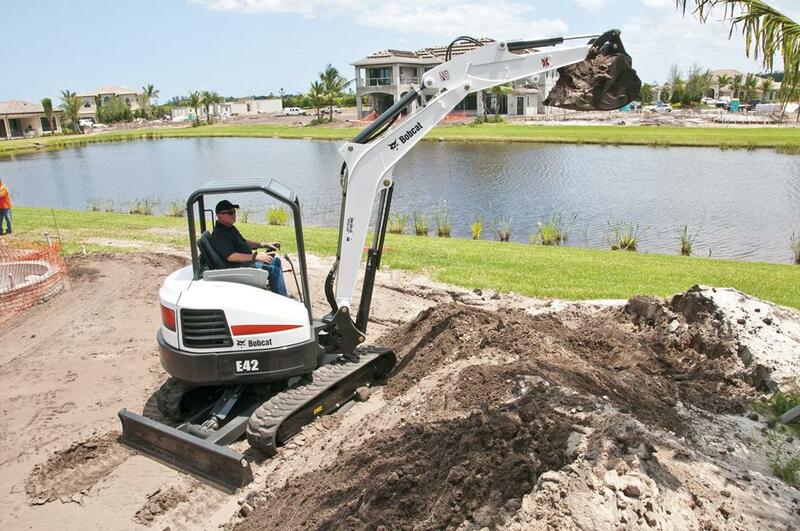 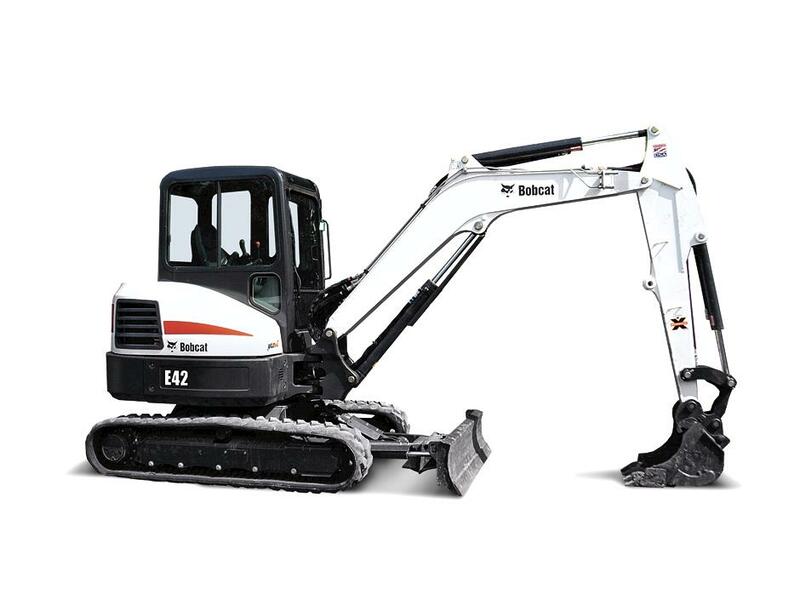 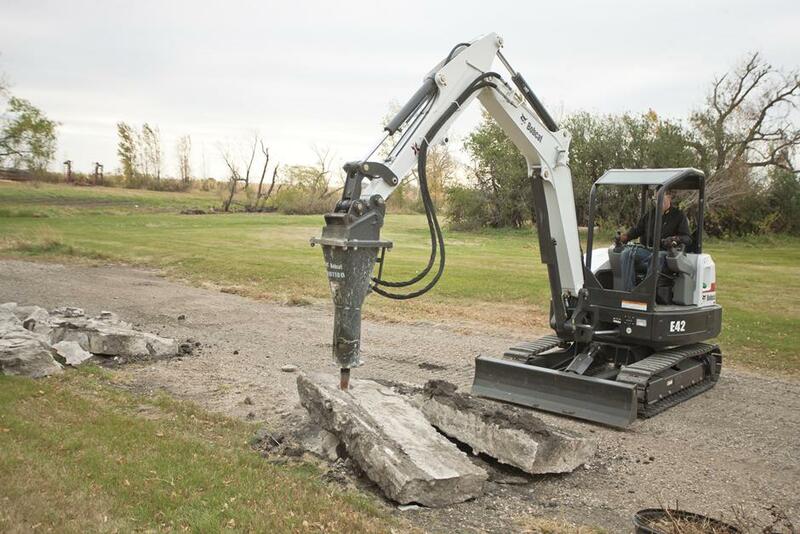 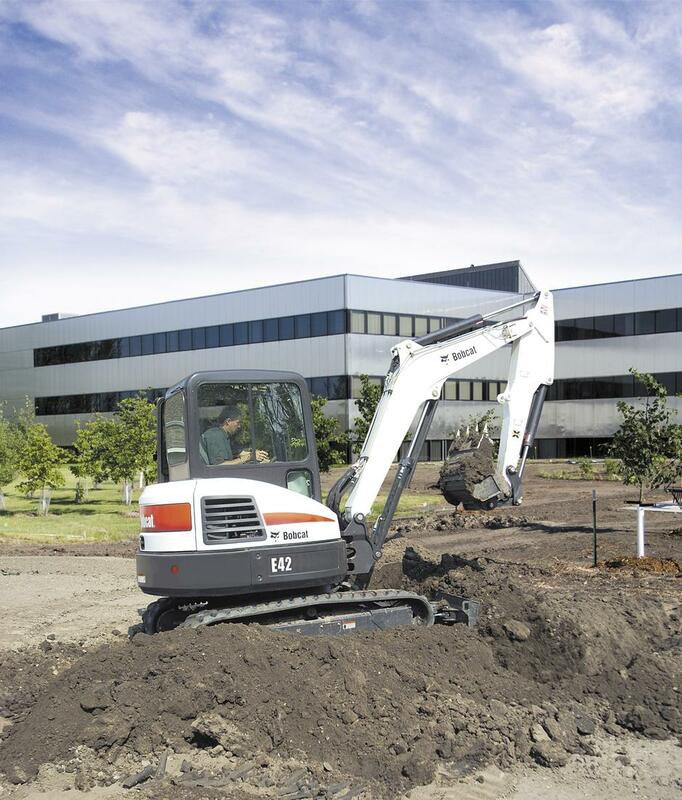 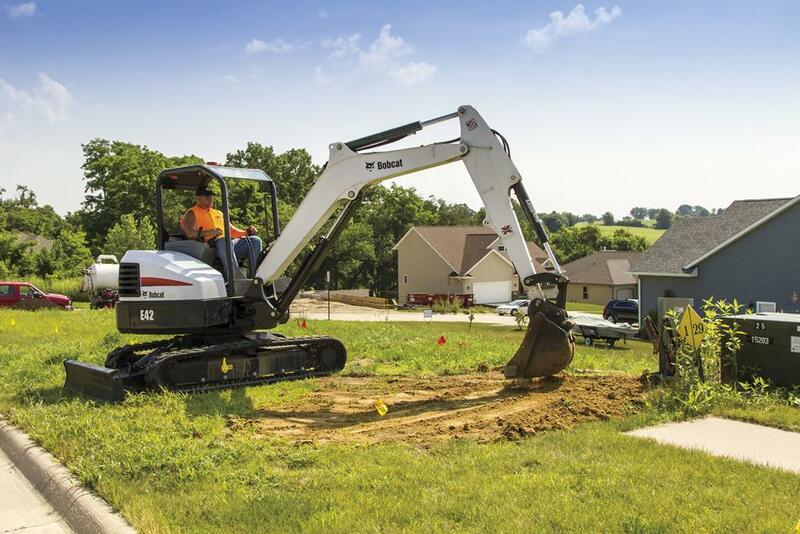 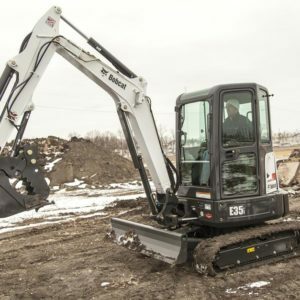 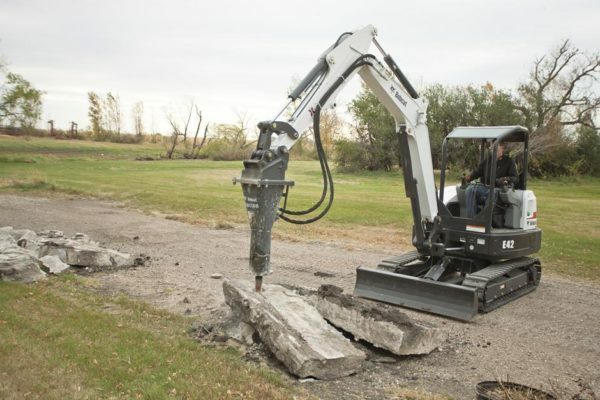 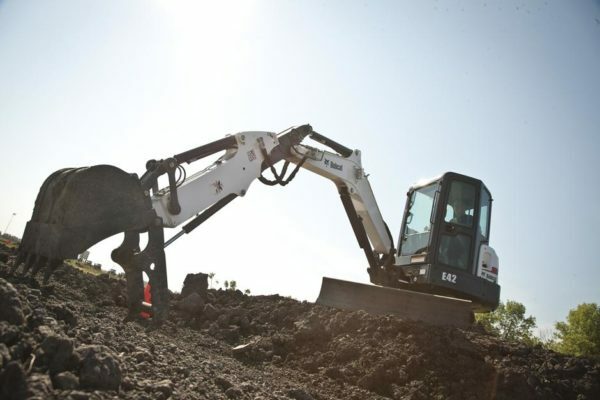 The Bobcat® E42 compact excavator (mini excavator) minimizes ground disturbance and excels at bulk excavation tasks. 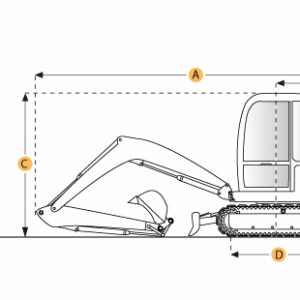 The conventional tail swing offers improved dig depth and reach. 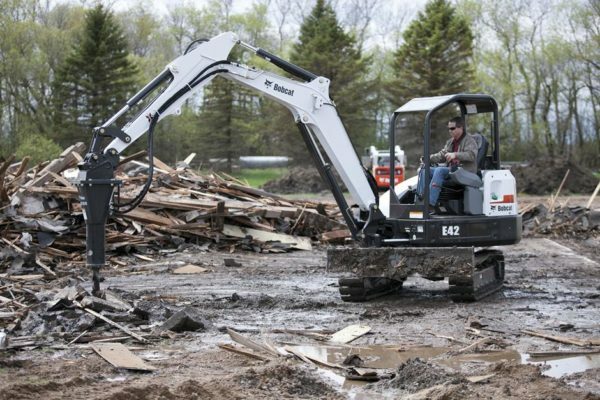 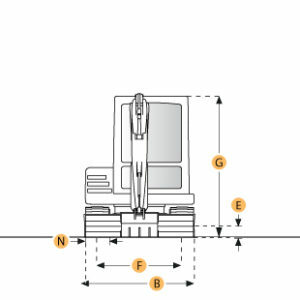 It’s also easier to move your machine through tight spaces such as doors, gates, and onto trailers. 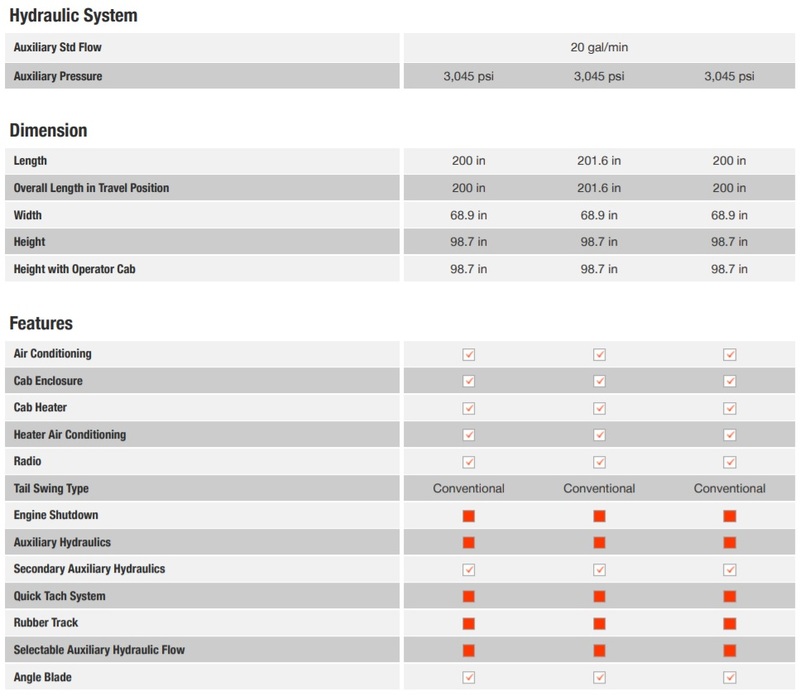 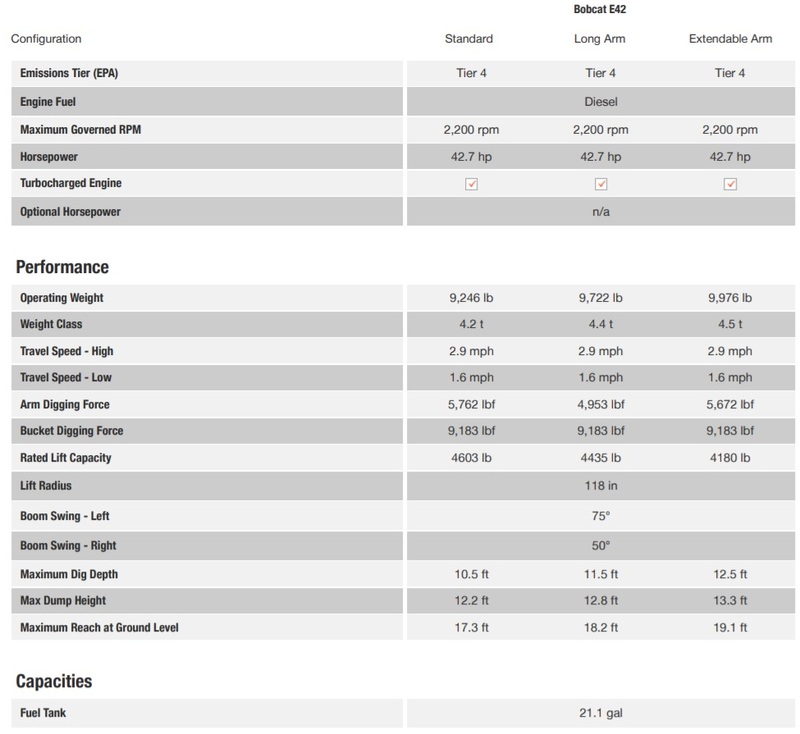 The Tier 4-compliant E42 can be equipped with a long arm to increase your dig depth and reduce your repositioning. Other options include an angle blade and a clamp-ready extendable arm.